Colorectal cancer is cancer of the large intestine (colon). Most colon cancer begins as non-cancerous clumps of cells called adenomatous polyps. Over the course of time, some of them become cancerous. Colorectal cancer is the #2 leading cause of cancer deaths in the US. It accounts for nearly 10% of all cancer deaths. Although, there's no sure way to prevent colorectal cancer, doing certain things may help lower the risk, such as changing the risk factors that can be controlled. Get yourself screened: Screening is the best way to protect yourself from the disease. It takes about 10 to 15 years for polyps to develop into colorectal cancer. With regular screening, you can find the polyps and remove them before they turn cancerous. 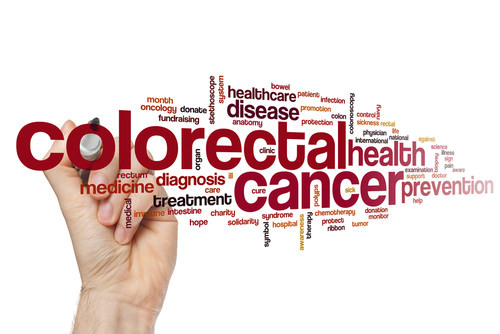 Screening helps finding colorectal cancer at an early stage when it's easier to treat. People who are 45 or older should start getting screened for colorectal cancer. Maintaina healthy weight: Overweight or obese people are at increased risk of developing colorectal cancer. More belly fat has also been linked to this diseases. Staying healthy and avoiding weight gain may help lower the risk. Indulge in physical activity: Increasing the intensity and amount of physical activity may help reduce the risk of colorectal cancer. Maintain a healthy diet: Consumption of diets rich in vegetables, fruits, and whole grains have been linked with lower colorectal cancer risk. Red and processed meats have been linked with increasing the risk. Limit your consumption of red and processed meats and eat more vegetables and fruits to help lower your risk. Avoid excess alcohol: Studies have found a higher risk of developing colorectal cancer with excess alcohol intake, especially among men. To help reduce your risk, limit your alcohol intake. Polymedco CDP, LLC is a leading manufacturer, marketer, and distributor in the clinical laboratory marketplace. We supply clinical, diagnostic test kits and devices that specialize in colorectal cancer. Get FIT, a simple, affordable, non-invasive colorectal cancer test that you can do in the privacy of your own home.Call us at 888-638-7757 or email at tpucci@polymedco.com.